Everybody Can’t Be Right! safely guides readers through the darkness of confusion to the clear, life-changing message of salvation. In his classic, matter-of-fact teaching style, Bishop John T. Leslie, Jr., uses God’s Word to shed light on salvation. He examines popular teachings and beliefs on salvation including: The Great Commission, The Sinner’s Prayer, Romans 10:9, and The New Birth. Bishop Leslie's presentation is thought provoking and scholarly, yet easily understood by all. Everybody Can't Be Right! is a great read for any serious Bible student wanting to gain more insight about salvation. Across the United States, Everybody Can't Be Right! 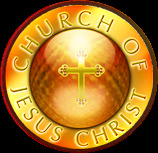 is used in Sunday Schools, Bible Classes, small group studies, and Christian schools.